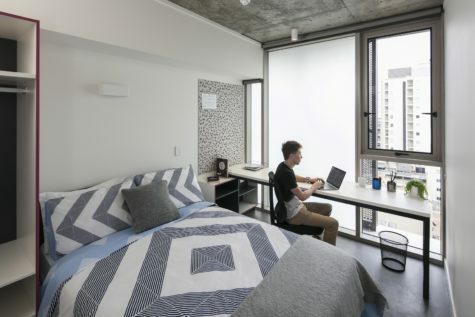 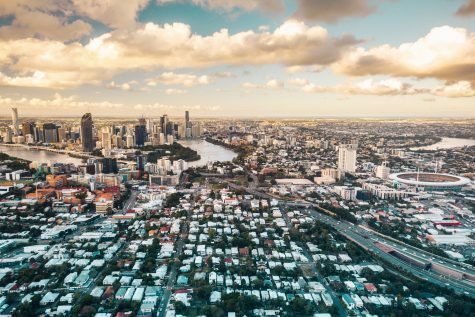 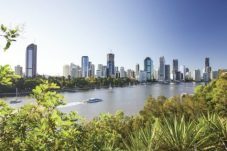 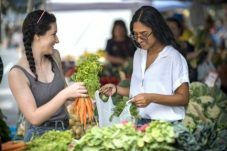 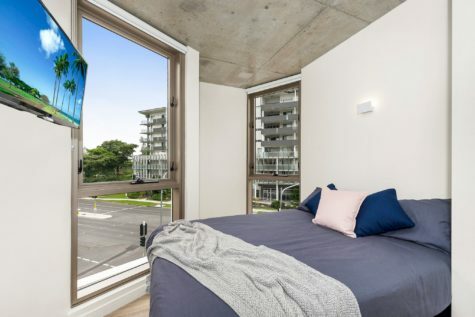 Student One's four-bedroom apartments offer students the chance to socialise with like-minded residents, while also having more space and privacy in the apartment. 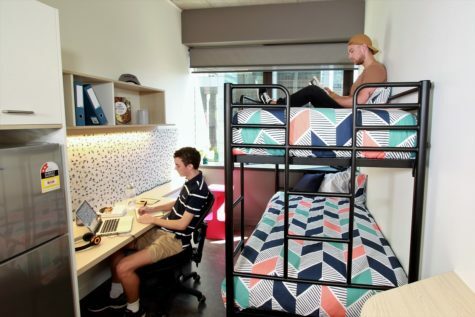 The 4 bedroom apartments are a popular choice for students who want a social environment to study, but also enjoy their own space. 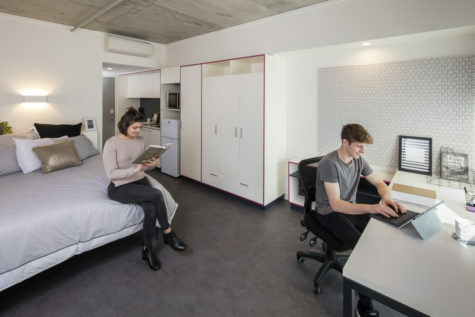 Each student gets their own lockable bedroom, while also enjoying the fully furnished communal areas. 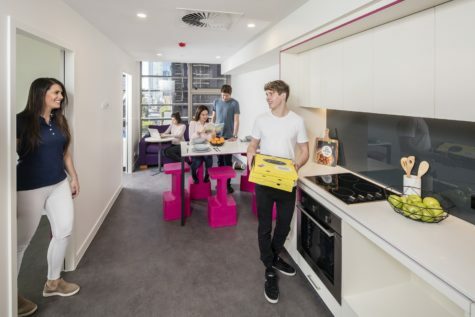 These apartments are air-conditioned and have a kitchen and two bathrooms – so everyone shares a bathroom with just one other roommate. 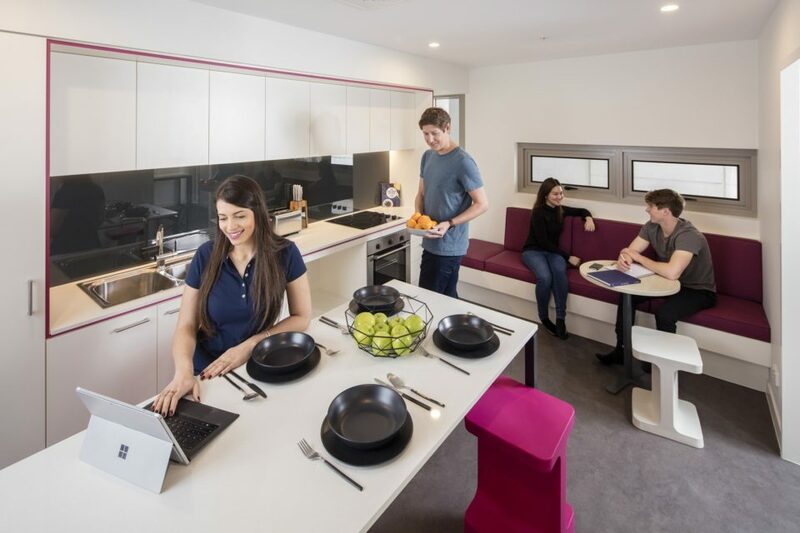 The longer you stay – the cheaper the rate. 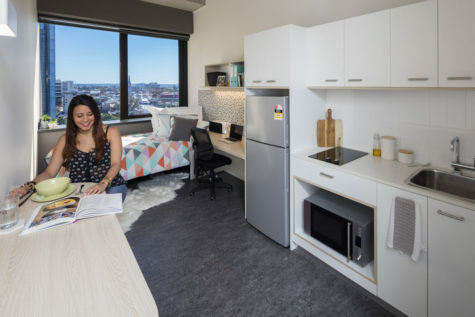 Student One's four-bedroom apartments are a popular choice.